We can wreak a lot of havoc in our bodies in those 5-6 weeks, but this year I want to help all our clients get a leg up on the holidays, so you can sail through them feeling great about your choices, still enjoying treats, but then starting the year with a sense of strength and a plan for a great 2019. 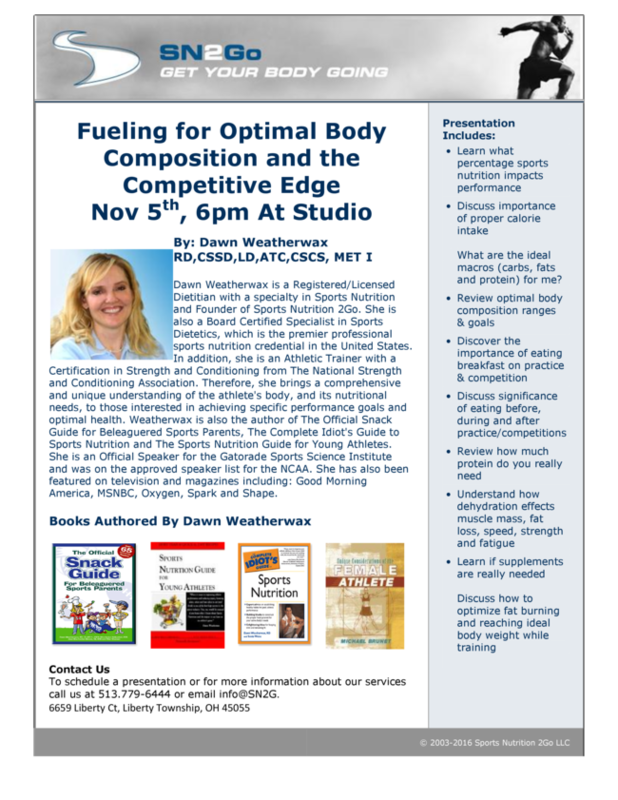 To this end, I’ve enlisted the aid of the best sports nutritionists in the region, Dawn Weatherwax RD, who will be giving a complimentary presentation on Fueling for Optimal Body Composition and the Competitive Edge at our studio on Monday, November 5th at 6pm for our clients and their family & friends. The list of Dawn’s credentials in nutrition and athletic training is longer than my last name. 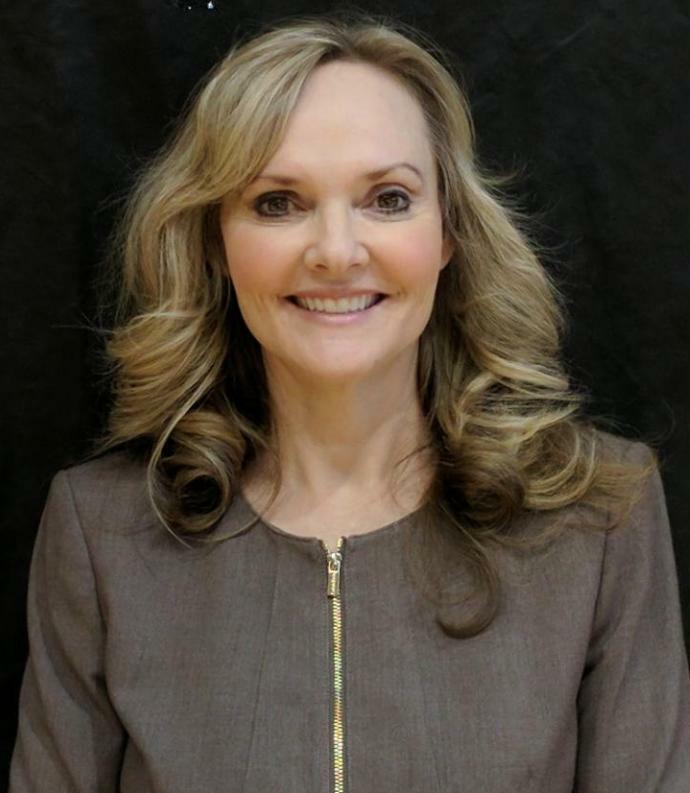 She is the founder of Sports Nutrition 2Go, and a published author of a number of books, including The Complete Idiot’s Guide to Sports Nutrition, and she is a wealth of knowledge on measuring and changing or maintaining body composition for people who are active or are looking to become active. I worked with Dawn in the late spring and she was able to give me incredibly accurate information about my fat and lean mass as well as a clear understanding of my metabolism. With her help I learned that I was under eating and my meal timing was almost the opposite of what it should be for my training needs! In the past few months, since putting her plan into practice, I’ve lost 8 pounds of fat and gained 5 pounds of muscle, and I feel great. I’m looking forward to going into the holidays this season, because I know exactly how much of each kind of food I need to be able to maintain my progress while still being able to enjoy some pumpkin pie. This is my holiday gift to you. Better than any tee-shirt, socks, or even mom’s granola, Dawn can give you the tools you need to sail through the holiday and into the new year with a sense of what and how much you need to fuel your goals and success. What’s more, by attending the presentation you and anyone you bring can get a significant discount on the services that Dawn offers for measuring your body composition and metabolism, as well as meal templates with macronutrient breakdowns personalized for your needs and goals. For a PDF copy of the presentation flyer, click here. If you would like to attend Dawn’s presentation on Monday, November 6th, please reply to this email, or text/call me at 937-609-4170 and let me know how many people you would like to bring. Next story Get Moving, America!